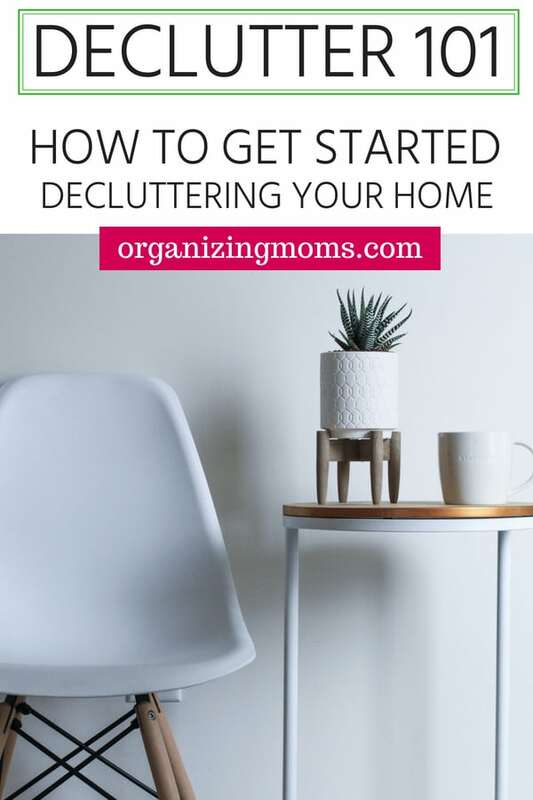 Ready to start decluttering? Looking for ways to straighten up your home without cleaning and organizing for hours at a time? 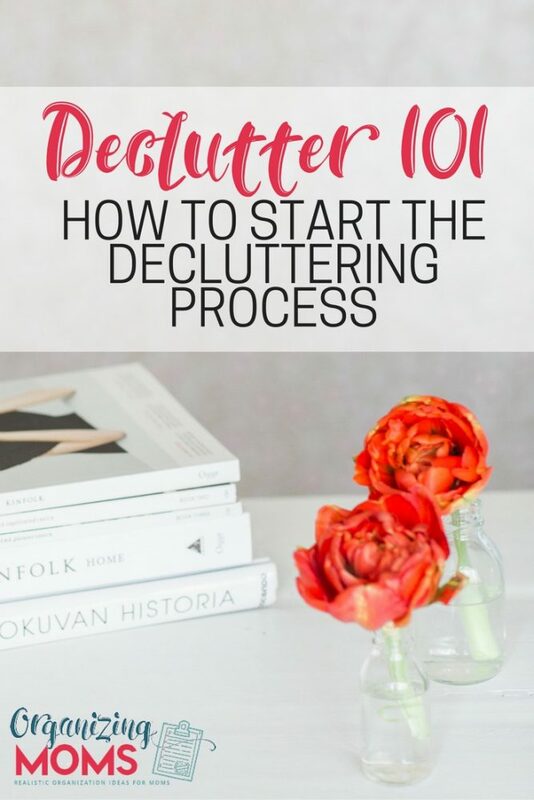 The Declutter 101 process will help you get started on decluttering and organizing your home. Set a timer for a specific, short amount of time. To start out, you might just want to work for 10 minutes. As you get used to decluttering, you can increase the amount of time. Select an area in your home you’d like to declutter. Smaller areas are better, because you’ll be able to see your progress more easily. For example, select a desk drawer instead of a whole office. 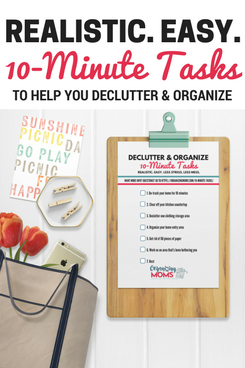 During your 10 minutes, focus completely on decluttering that drawer. Grab a garbage bag so you can throw things away as you work. Get some kind of container (a box or bin) for things you plan to get rid of that aren’t trash. Begin by throwing things away that are obviously trash. Then, start taking out each item one by one. Ask yourself if each item is something that is really used and/or enjoyed. If the item is used/enjoyed, put it back in its place. If it’s not, put it in your get rid of it box, or in your trash bag if applicable. Examine each item individually, and try to work as quickly as possible. Remember that the goal is to declutter and get rid of as much stuff as possible. Take your trash bag to the garbage bin, and put your “get rid of it” box in your car. The next time you drive by a donation place, you can drop the box off. Celebrate! You’ve gotten rid of clutter in your home. Repeat this process daily to see even more results. Want to get a copy of this process? 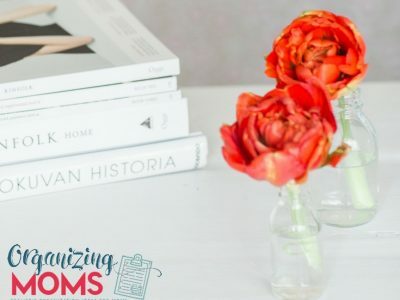 Sign up below to get a free printable PDF of the whole Declutter 101 process! Declutter 101- Where Do I Start?